Baby Casts & Prints helps to create amazing memories that last a lifetime. We offer a variety of different casting services from our studio, as well as a selection of DIY casting kits for you to create your own at home. Our studio is based in Oldham, Manchester and our casting services are available on an appointment basis. Our friendly and professional casters Helen and Billie will talk you through the process, and ensure that it’s an enjoyable experience all round. We have a great selection of different studio castings available, and all can be customised to your requirements. 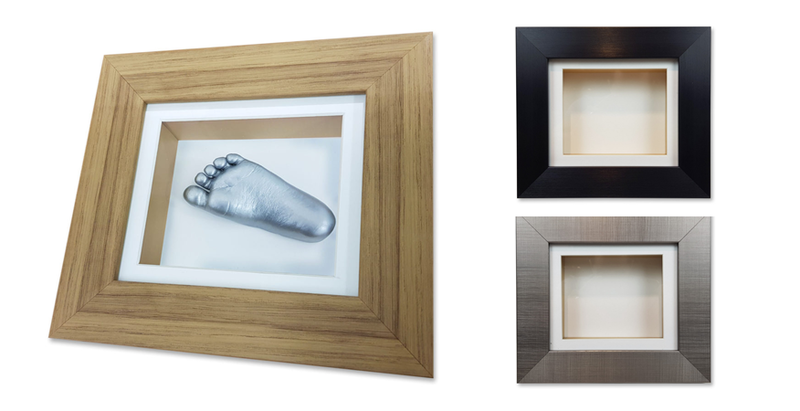 Our framed baby castings are the perfect addition to any home. With the amount of different options we’ve got available, you really can customise it to fit your unique style and walk away with a perfectly personalised creation. 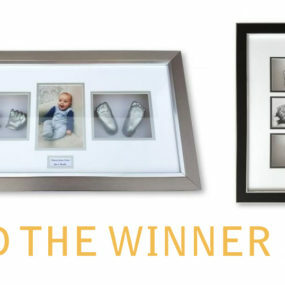 A single hand or foot casting of your baby or toddler mounted in a frame of your choice – simple, yet stunning. This casting requires you to choose your preference of whether you’d like a hand or foot casting, and the type of frame you’d like. You can view all of our frame options here. The castings can be painted in a colour of your choice, and we include a name plate in the frame with the details of your little one. Optional extras include upgraded frames or name plates at an additional cost. If you just can’t choose between a hand or foot cast – why not have both?! 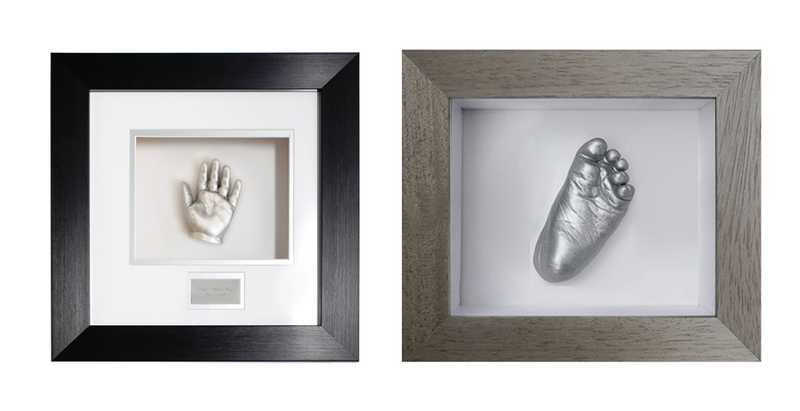 We can cast both one hand and one foot of your little one in the same appointment, to be framed next to each other in a beautiful creation. This casting also comes with a name plate, choice of frame and paint colour to be finished. 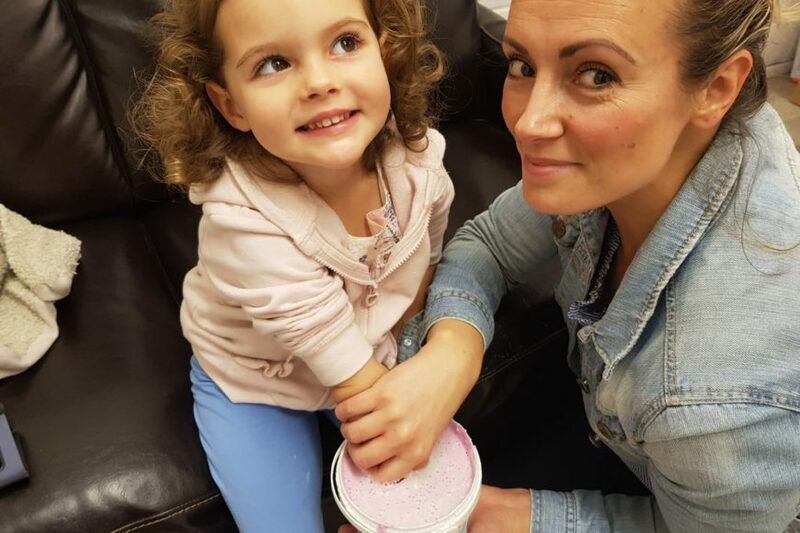 They grow up far too quickly, so this is the perfect way to encapsulate the younger years of your little one – with a single hand and foot casting accompanied with a photo of your choice. Including a photo in the frame just adds that extra special touch, and they’re much better displayed hanging on the wall next to their little castings as opposed to stored a way in a photo album. As with all of our other creations, you have a choice of frames, name plate type and card insert colour. 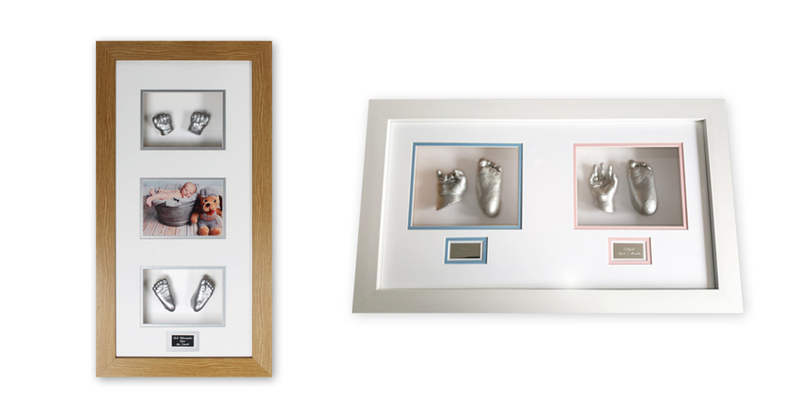 Our most jam-packed framed castings yet – both pairs of hands and feet with our without a photo insert. We love them! 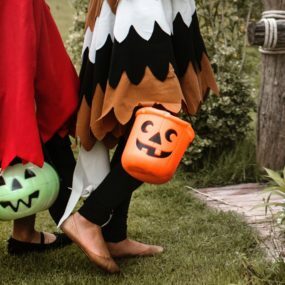 Similar – for the extra cute factor – if you have siblings or twins you’re more than welcome to do a hand and foot casting of each one in a joint frame (as shown above). These fun pieces are some of the latest additions to our collection – and they’re already hugely popular! We have a variety of different framed castings with a variety of custom shape frames. Not only do these unique frames look great, but the kids love them! Not every casting needs to be framed and in fact, they look great as freestanding decorative ornaments around the house. Our unique freestanding casts aren’t just for babies and toddlers, they create the opportunity for the whole family to get involved, too! What better way to encapsulate the strong family bond than with a solid hand cast? This unique casting can be made with three, four or five hands linked together to create the perfect treasured gift. As with all of our other castings, careful hand crafting techniques are used to ensure that even the smallest details such as wrinkles, nails and wedding rings are captured. You choose the colour (silver, gold or bronze) and your preference in finish from metallic, rustic or matte – and we do the rest of the work! For this type of casting, we recommend any children to be a minimum of 3 years and above, in order to be able to create a strong bond between the hands and wrists. 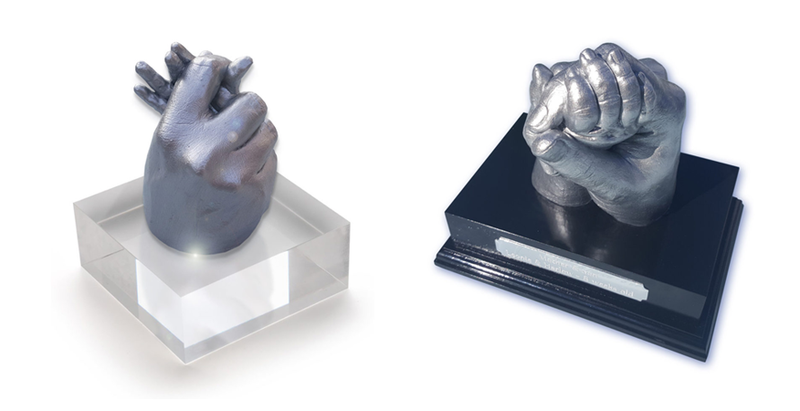 Our popular holding hand castings are open to a combination of parents, toddlers and babies. The hands can be held together in a variety of different poses, depending on the style you’re looking for. Typically two hands are used in these creations, although you can also get the whole family involved with the parents’ hands clasped together, and baby’s hand cast separately and positioned inside or next to the other hands. The casts can be finished to a colour of your choice, and come as either freestanding or can be mounted on a plinth. We aren’t restricted to hand and feet castings here. Introducing, our belly bump casting! Pregnancy is such a special time for all mothers, and this is your chance to capture the memory of carrying your little bundle of joy for all those months. 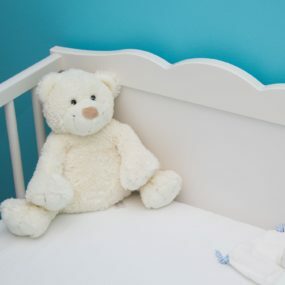 Belly bump castings are completely safe, and can be done anytime from 30 weeks – however, the bigger the bump the better so we usually recommend 36/37 weeks for the best results. Hard at work decorating one of our recent belly casting results, a great idea for commemorating your pregnancy. 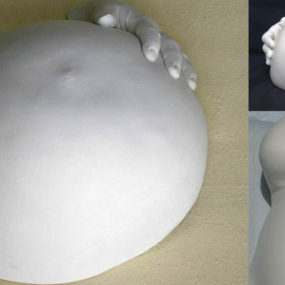 There are so many different options with our belly bump castings – they can be left plain or decorated, and include breasts, your own hands or maybe your partners hands, too. This is one of our most special castings to date – and also makes a great gift for an expectant mother! Looking for something a little more unique? We’ve got you covered. We have two new decorative baby casting options available – both very different to the standard framed and freestanding castings available. 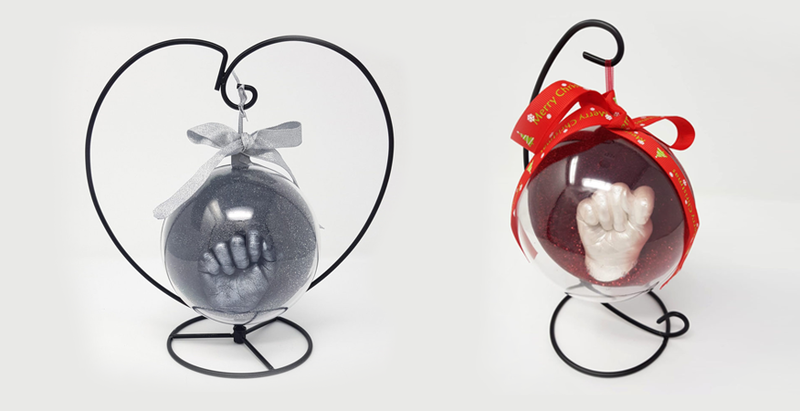 Really make your baby hand casting stand out with one of our adorable bauble castings. The same casting process applies to these creations, and once the cast is finished we then place it carefully inside a high quality bauble with a stunning glittery effect. You have the choice of the bauble on its own – a perfect addition to the Christmas tree – or have it hanging on one of our beautiful heart-shaped stands. 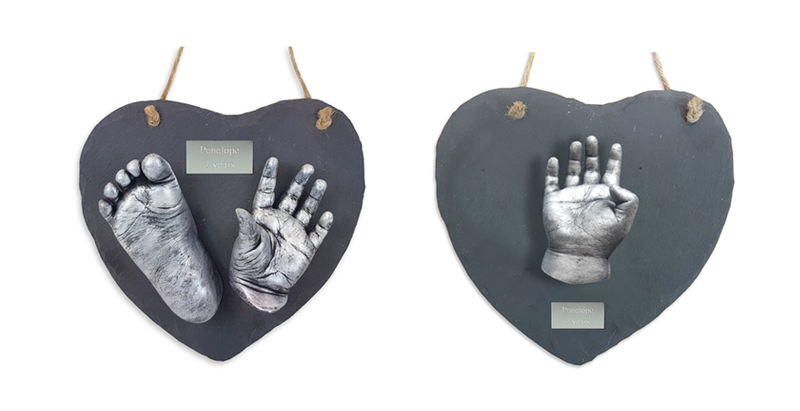 You can still have your baby hand and foot castings hanging on the wall, but with these super cute slate casts they don’t need to be in a frame. These look fantastic around the home, and offer a great alternative to the standard framing options. The slate comes with string at the top to hang it easily on the wall, and the slate itself measures at approximately 19.5cm high. Can’t make it to our studio for a casting? Not a problem. 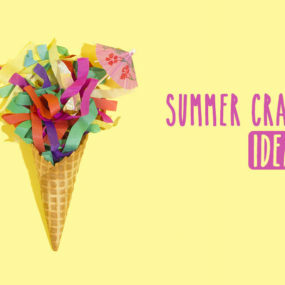 We’ve put together a range of DIY casting kits, so that you can create your very own from home. All of our kits are high quality, using the same materials as we do in the studio to ensure a professional finish. 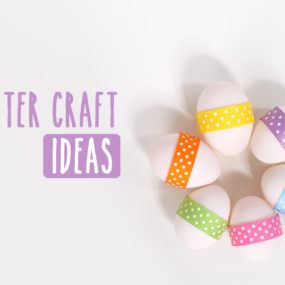 All of the kits come with simple step-by-step instructions, to make the process as easy as possible – perfect for beginners. 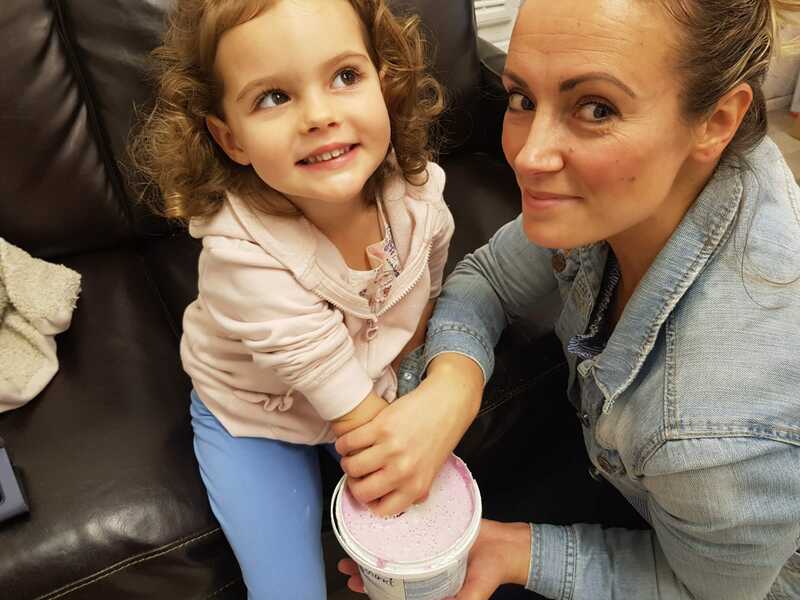 Included in each of the kits is Chromatic Alginate – the main moulding material we use – which is completely safe to use on the skin and children of all ages. Want to try a family casting of your own at home? We produce and stock DIY kits with detailed instructions to help you create your own beautiful casts. Our kits are available to purchase on our online shop, or through our Amazon store. 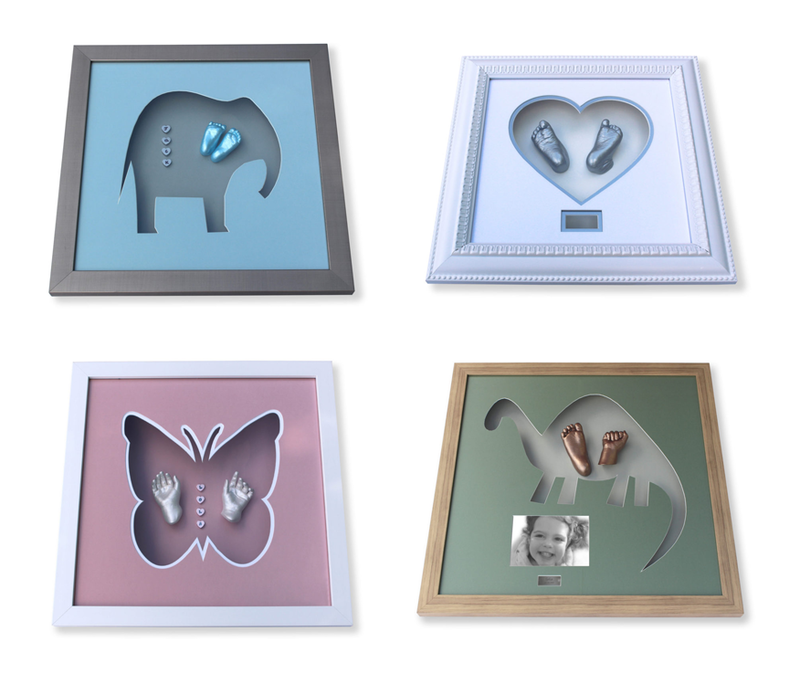 This kit comes with everything you need to create your very own framed baby or toddler 3D casting from home – complete with a choice of frame. 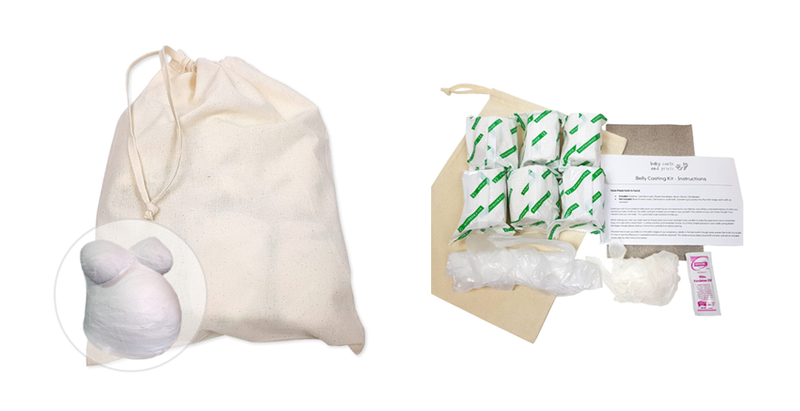 With the kit, you can easily create around 2 casts of a newborn baby, or around 1-2 casts of an older child. We’ve included a pot of silver paint in the kit, to give the cast a stunning finishing touch once completed. The frame comes complete with fixing accessories so that you can mount and hang on your wall as you wish. This is the perfect way to capture the memory of your little ones, carrying out the full process yourself from start to finish. We’d even recommend this as a thoughtful gift for loved ones – something really unique and special crafted by your very own hands. 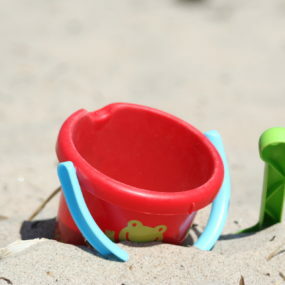 Hand castings can be just as fun for parents and other family members, as they are for baby & toddler. 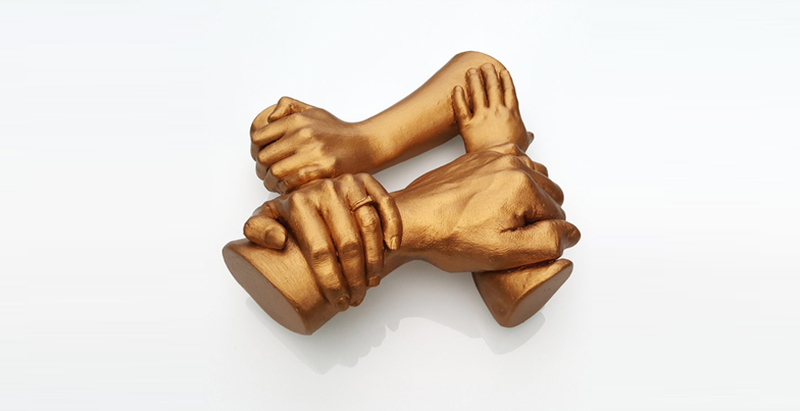 Our holding hands castings are such a popular order in our studio, so we couldn’t not put together a DIY kit to let you create this from home. This kit contains everything you need to create a stunning freestanding holding hands cast, in any combination you desire. Our customers love this as a gift for family & friends, to really cement the bond between loved ones in a special and unique way. Whether it’s showing the love between mum and dad, or getting the whole family involved – you’re free to get creative with this one and create a stunning sentimental piece for the home. 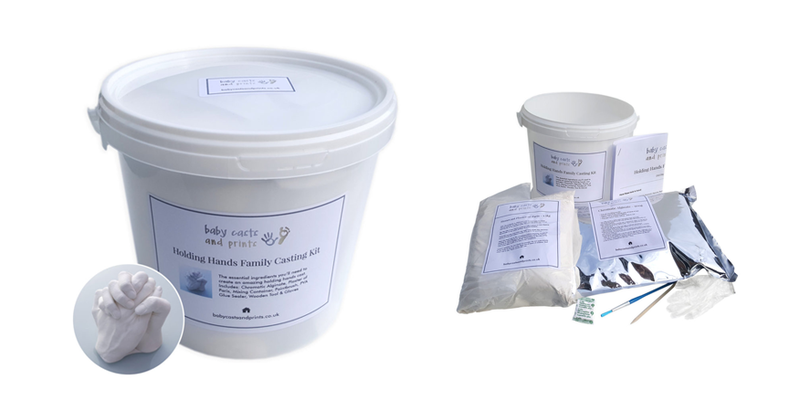 This is the perfect starter kit to create your very own baby hand and feet casts from home. There’s everything you need in this kit to safely mould the hands and/or feet of your baby/toddler. 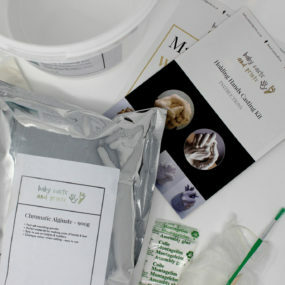 With the contents of the kit, you’ll have enough alginate and plaster to produce around 4 casts of a newborn baby, and 2-3 casts of a 2 to 3 year old. Once you’ve created the final product, you can choose to paint and display them as you like – whether that’s framing, mounting or simply freestanding – get creative! 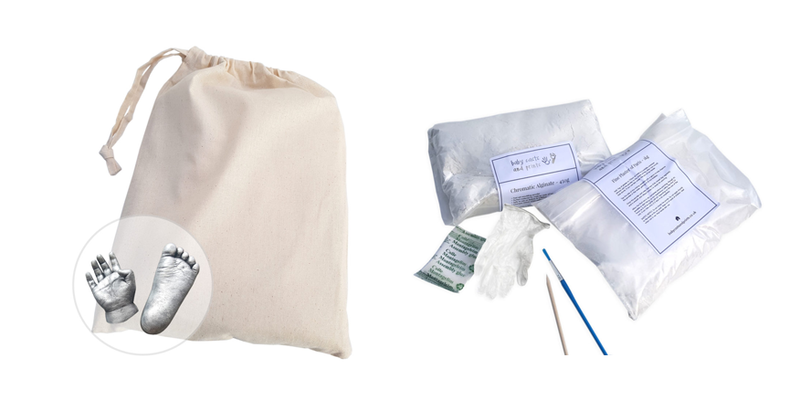 If you’d prefer to cast your own pregnancy bump at home, then this kit allows you to make a perfect replica to keep forever. 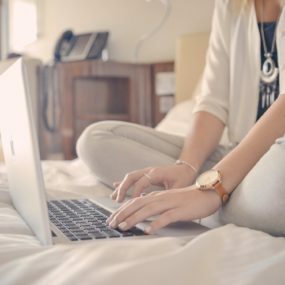 This is a completely safe process, and the best time to cast your belly is usually in the latter stages of pregnancy – in the last month or so. 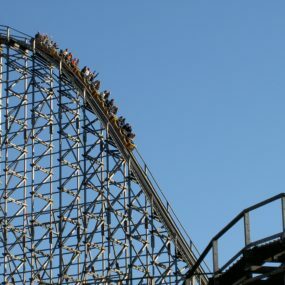 The whole process is an incredible experience, one which you may require help from a close friend or significant other. Got a special mum-to-be in your life? Treat her to one of these kits and enjoy the casting together, leaving her with a unique gift that she will treasure for the rest of her life. Chromatic Alginate is the moulding powder that we use to create our casts. It’s a fast-setting product which is completely safe for use on babies or toddlers hands or feet, and is available to buy in a 900g pack. This pack comes with some simple tools to aid the creation of your castings, and full instructions detailing how to use it. Got a question about any of our products or want to book an appointment? Get in touch with us here.